nnovative colour-changing technology kids will love. Ventilation holes provide breathability and help water drain away. Circulation nubs on the foot bed provide a massage-like feel. 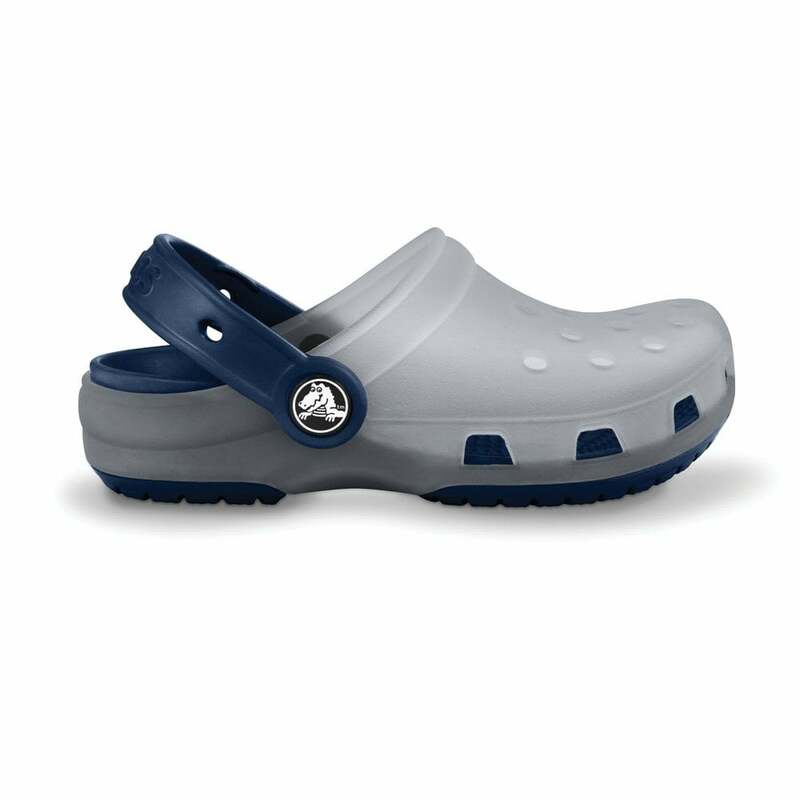 Holes on top and on strap accommodate Jibbitz™ shoe charms. Croslite™ material foot bed responds to body heat to create a form-to-foot fit. Fully-molded Croslite™ material for maximum lightweight cushioning. Soft, supportive translucent TPU material upper. It's like magic! The new Crocs Chameleons Translucent Clog changes colours in the sun. These kids clogs transform from one colour to another almost instantly when exposed to sunlight. So you can watch them change right before their eyes! One of the best croc styles...We Have brought the same style (different colours) for our boy (aged 6 ) over the last 3 years, they are made well, a great fit, unlike some... comfortable and take a lot of rough play wear!! \nThe colour changing is cool, people always comment which he loves. \nA definite recommendation.